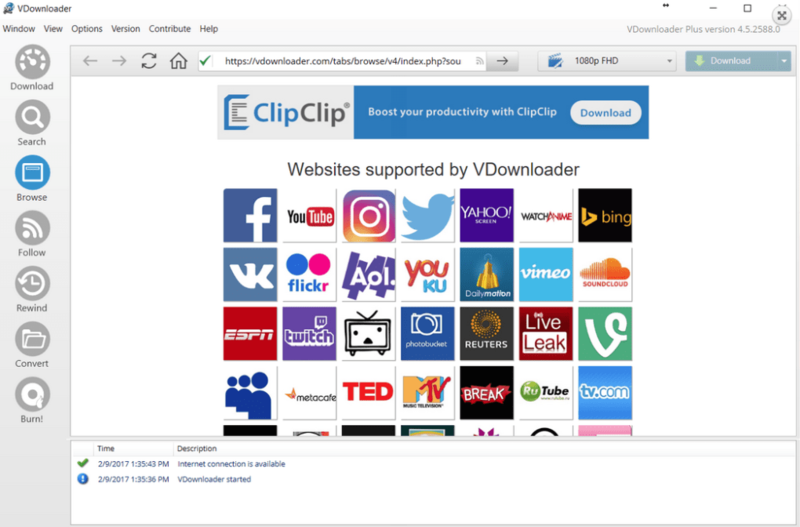 VDownloader is more than just a YouTube downloader: it's a popular multimedia tool that allows you to quickly and easily download videos from a range of popular sites (including YouTube and Facebook). Using VDownloader is really simple. Just paste a video URL into the interface and click the download button. The latest version of VDownloader has increased its download and conversion speed, which makes it even a more interesting tool. You can also search for videos about a specific topic with the program's built-in search tool. The good thing about VDownloader is that you can use it with virtually any video sharing website, just by entering the video URL. 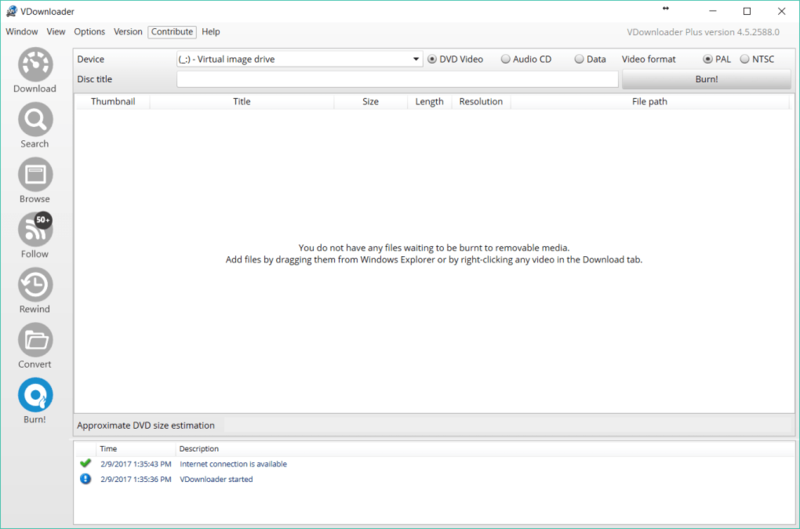 VDownloader features a number of output conversion profiles, so you can make the downloaded videos compatible with your portable device or media player. Alternatively, you can download the files in original format. Bear in mind though that if you choose this option, you won’t be able to convert the file afterwards. 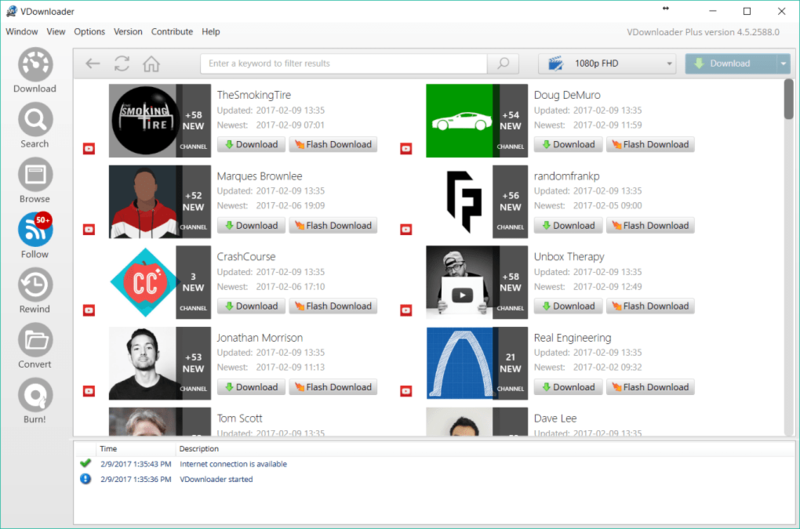 To save you time, VDownloader will batch download up to ten videos at once and features a scheduler so it can be set to download files whenever is most convenient for you. The program includes other extra features, but sadly they’re only available in the Pro version of the program. VDownloader is a handy, effective video downloader and converter that works with all popular video sharing sites. If you are looking for other free alternatives, we recommend you to download Ummy Video Downloader or All Video Downloader. MegaVideo integration, updated translations, set maximum download speed, window position improvements, view options, new keyboard shortcuts, and various other enhancements. nice great i love it.. iam download lot of videos.. have fun..
What do you think about VDownloader? Do you recommend it? Why?